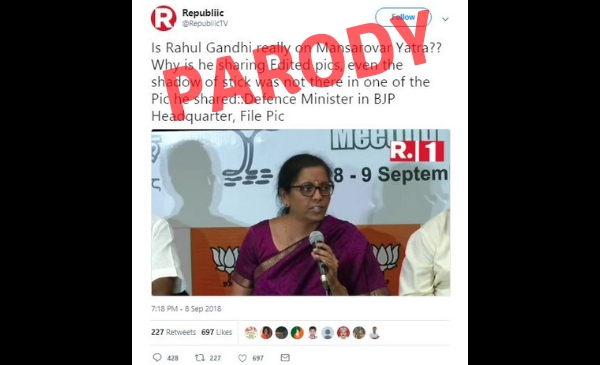 Republic’s parody handle tweets a fake quote attributed to Nirmala Sitharaman, she in turn calls them out. The parody Twitter handle @RepubliicTV, created in April 2018 had around 121 followers at the time of writing the story. You can find the archived version of the tweet here. The tweet got got more than 650 likes, 428 replies and 227 retweets. 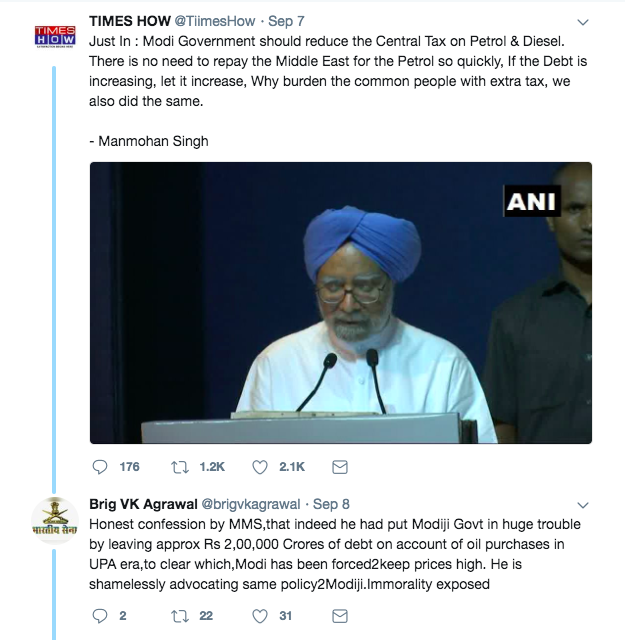 Meanwhile the Union Minister, Nirmala Sitharaman called out the tweet from the parody account. .Fake News Alert! Nothing of the above was spoken. A supposedly ‘parody’ account! 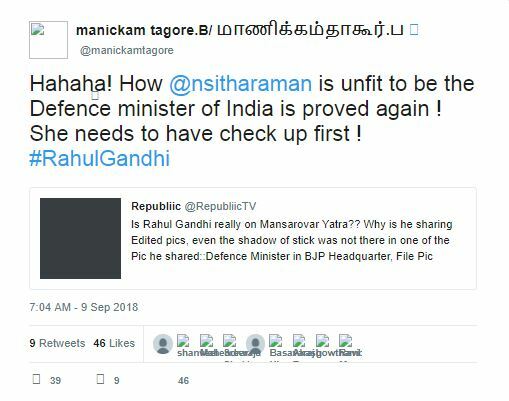 While many on Twitter noticed that the handle is not an official handle of the news channel, Manickam Tagore, a former MP and Secretary of All India Congress Committee, tweeted that Sitharaman is unfit to the the Defence Minister. Tagore later deleted the tweet but his tweet can be accessed here. But the account that tweeted the false information clearly mentions that it is a parody account in its description. 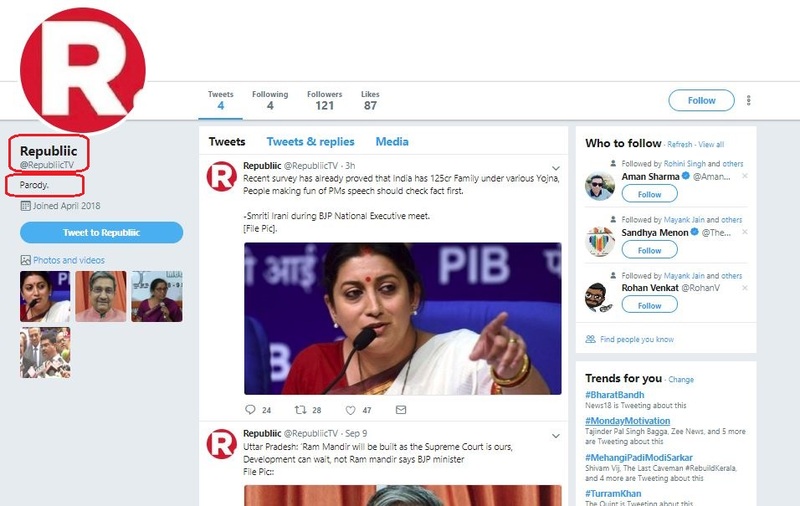 The name of the Twitter handle has an extra ‘I’ and the Twitter handle is also different from the original account of Republic news channel. Not only this but the logo of the parody account is also different than the original one. The original Twitter handle of the news channel Republic is @republic and has around 477k followers. This is not the first time parody handles of news channels have created confusion. A Twitter parody handle @LimesofIndia has 17,000 followers and tweets frequently. Recently, it called the official Times of India fake. Another handle @TiimesHow has also fooled several users in the past who thought that it is the official Times Now handle. The handle which also declares itself as satire and parody in its description has over 12,000 followers. Some other active parody handles on Twitter, include that of @CNNews69, @NDVT2002. Both the handles have declared themselves as parody handles. 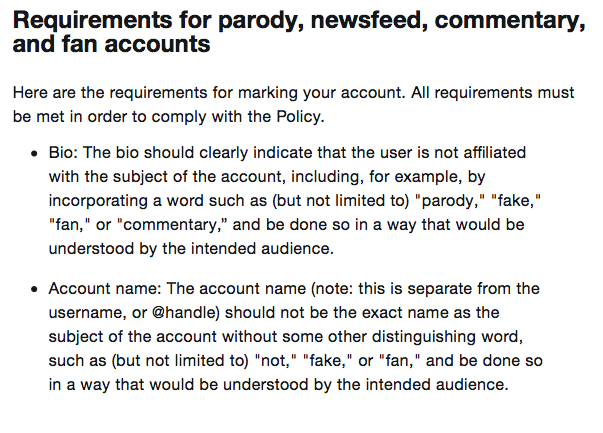 While many users have asked Twitter to take down such handles as they mislead users into retweeting their tweets, the platform has a clear policy regarding parody and satire handles.